It warms the heart to see the three Plugs from Long Island popping more often in headlines lately. 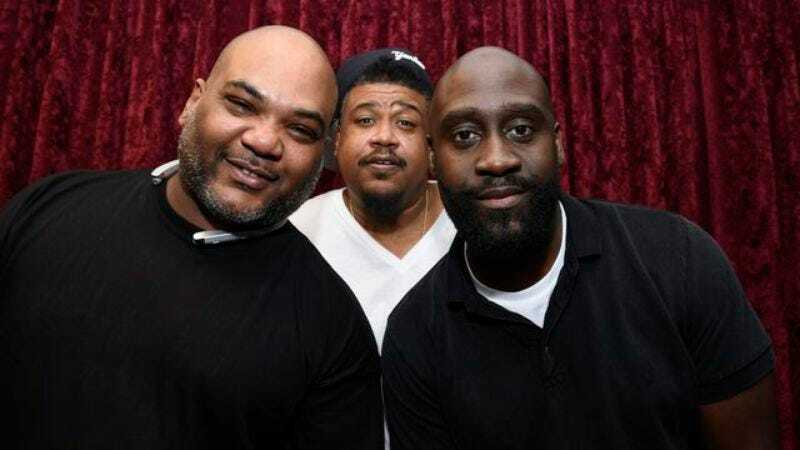 Though De La Soul has been around since the Reagan administration (they formed in 1987, when they were still teenagers), the legendary group seems to disappear from the cultural landscape for great swaths of time. However, with the crowd-funded And The Anonymous Nobody—only their ninth album in all this time—due out on August 26, we have the pleasure of hearing from them more often these days. As such, The Guardian recently published an interview with Kelvin “Posdnuos” Mercer. Among the many nuggets of interest in the conversation is news that the hip-hop trio will once again be popping up on a Gorillaz album. It comes when we feel we’ve got something that would be a great match for an artist. With Damon, it was easy because we love working with him. We’re about to be on the new Gorillaz album. … We actually sat down with Damon two weeks ago and he played us some of the new Gorillaz album, and it sounds amazing. He played us a track that he wants us to get off on his album so we got to get in the studio and put that down. Pos, Dave, and Maseo have previously appeared on “Feel Good Inc.” from Gorillaz’s 2005 album Demon Days and “Superfast Jellyfish” from 2010’s Plastic Beach.